On behalf of Admin of JML Law, A Professional Law Corporation posted in Pedestrian Accident on Thursday, Nov 15 2018. Ask any pedestrian in California and they will tell you that car drivers turning left without a green left-turn arrow is both annoying and dangerous. Researchers and lawyers alike could not agree more. According to our Los Angeles pedestrian accident attorney at JML Law, pedestrians are more likely to avoid a collision with vehicles when vehicles are not allowed to turn left without a green left-turn arrow. That’s because car drivers are more likely to watch oncoming traffic than pedestrians when looking for their chance to make a left turn. Unfortunately, car drivers are not as vigilant and careful when they are allowed to turn left without a green left-turn arrow. And this is evident from the fact that drivers turning left are one of the most leading causes of pedestrian accidents in Los Angeles and all across California. Fact: up to 11 percent of all motorists pay little to no attention to pedestrians in the crosswalk. The more cars and the fewer pedestrian there are, the less car drivers pay attention to pedestrians when turning left. With fewer people crossing the intersection, car drivers are less likely to notice pedestrians. More cars means that the left-turn driver’s attention will be focused on oncoming traffic rather than pedestrians. These findings of the study, which was designed to see when left-turn drivers are more likely to notice pedestrians, may not be as surprising as you thought, yet authorities do nothing to fix this problem. What if we replace all permissive signals with protected ones? 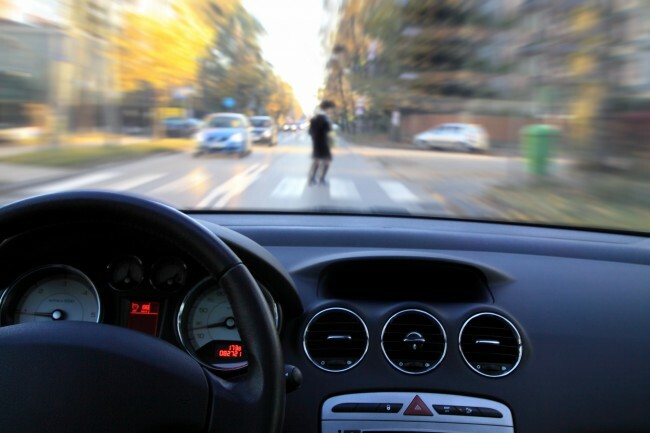 “Authorities are well aware of the problem; they know for a fact that a large percentage of pedestrian accidents occur when drivers are allowed to turn left with a “permissive” left-turn signal (a circular green or flashing yellow),” explains our experienced pedestrian accident attorney in Los Angeles. When there is a “protected” green-arrow left turn, on the other hand, car drivers are more likely to pay attention to pedestrians crossing the intersection. It sure seems as though authorities are more interested in letting cars get to their destination faster than protecting pedestrians. “So is it all that simple? Just replace all “permissive” left-turn signals with “protected” ones and that’s it?” you may be wondering. Well, not exactly. Here’s where it gets more complicated than it seems. The biggest problem of protected left-turn signals is that it adds another phase to the signal, meaning that “through traffic” will have to wait at a red light longer than if left-turn drivers were allowed to continue their maneuver against the green light for through traffic. That, in turn, clogs up the intersection, which is why authorities are not eager to replace all permissive non-dedicated signals with dedicated ones. The more complicated the signal phasing gets the more traffic jams. The more traffic jams, the more likely motorists, and pedestrians are to violate traffic laws. And that’s a whole new problem. In addition to that, the downside of dedicated signals is that pedestrians have less time to cross the intersection and have to wait longer for their “legal” chance to cross. And as you may or may not know, the longer pedestrians have to wait, the more likely they are to violate traffic laws and cross against a red light or cross outside of a crosswalk. Still, each year, left-turn drivers continue to injure and kill thousands of pedestrians in California. If you or your loved one has been hurt in this type of accident, do not hesitate to schedule a free consultation with our Los Angeles pedestrian accident attorney at JML Law. Call our offices at 818-610-8800 today.